The Highlands Whole Person Method empowers you to make career and life decisions based on your natural abilities. The Method is both high-tech and high-touch, and includes our online career test for adults, students, and business leaders. How Does the HAB Work? 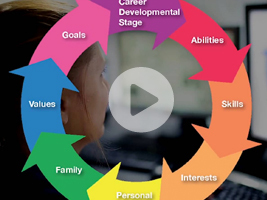 The Method begins with the online career test. You will complete a collection of timed performance-based worksamples that objectively measure your natural talents. There are 18 abilities measured plus a vocabulary component. It takes about three hours and can be completed at home. For career explorers, the HAB reports include a list of potential jobs for which you would be well-suited. For career developers, the assessment reports include information about roles and responsibilities that complement your profile. But the real magic lies in the talents revealed. Some of your talents could be specialized, like a gift for music, design, or theoretical thought; others will be specific to the environments, communication styles, and roles where you would thrive. How Does a Highlands Certified Consultant Help? That’s why we don’t offer the HAB to individuals without a Highlands Certified Consultant. You won’t get the full value of the assessment results without that high-touch component. 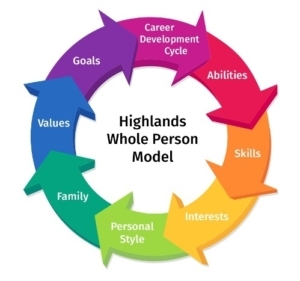 The Highlands Whole Person Method is an investment in yourself, and it WILL lead to a better understanding of your natural talents, and to a more rewarding career. Take the next step. Take an online career test for adults, students, and business leaders. Contact us to get started.